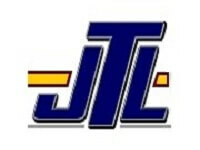 JTL Truck Driver Training Inc is a locally owned and operated Class “A” truck driver training school in Nebraska. Founded in 2001 there are thousands of students that have graduated from the school. The majority of the driving instructors are “Certified Master Level” instructors by the CVTA, licensed by the Nebraska Department of Motor Vehicles and are registered as instructors with the Nebraska Department of Education. Instructors have trained hundreds of successful graduates and have an average of 7 years of training experience. 1. Train you to become an entry-level Class “A” CDL licensed professional truck driver during our 160 hour course. 2. Provide you with the knowledge and skills needed to successfully complete the required Pre-Trip Inspection, Basic Control Skills, and Road Test and well as the written tests required by your Department of Motor Vehicles. 3. Provide you with the training that Major OTR companies expect from their entry level student drivers. 4. Provide you with the training to become a safe, qualified Class “A” CDL training student graduate. 5. Provide guidance and direction in being hired by a reputable OTR company or local company. 6. Have the reputation of providing our students with training second to none for programs similar to ours. Each of our Master Level Instructors have been involved in training between 500 and 1000 students - have between 5 to 8 years of training experience - field instructors havebetween 6 to 30 years of driving experience. We want our students to be able to say they are proud to have attended JTL Truck Driver Training, Inc.and to have received the training needed to start their new career as a Class “A” CDL Professional Truck Driver.